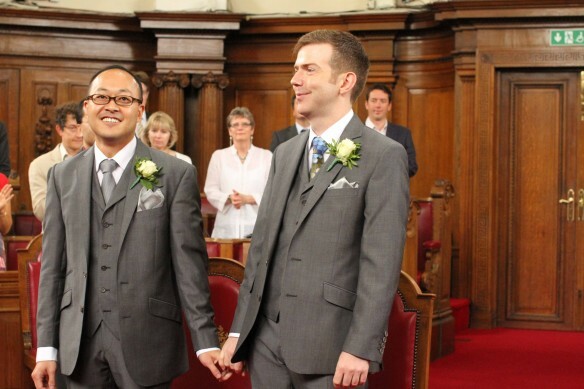 Choosing wedding outfits for a gay couple can be a minefield. Do you match? Do you complement? Do you co-ordinate? Should it be a surprise? In the end we decided to go for matching suits, but different ties. The suits we eventually settled on were we grey three-piece numbers from Charles Tyrwhitt. The ties we chose were both gifts from Donny’s dad in San Francisco. Also, the silver pocket squares were also made by Donny’s dad so it was really good to have a little piece of his parents there, even though they could not be there in person. 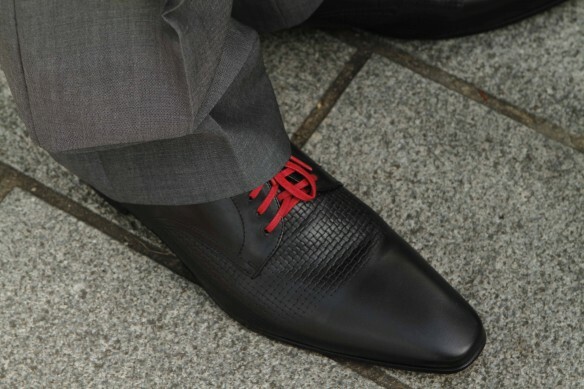 Mine were somewhat less colourful, but super comfortable – which is a definite advantage of dressing well as a man – you can look fabulous and still have working feet at the end of a wedding. Our waistcoats had this fantastic electric blue fabric for the back, which just looked sensational (if I say so myself). It wasn’t a conscious choice to find outfits that matched the colour scheme of the wedding so well, but the fact that the suits we liked also had this amazing colour as part of the ensemble – well, it did rather seal the deal. This entry was posted in Suits, The Big Day Itself by Chris. Bookmark the permalink. And don’t forget the cufflinks! 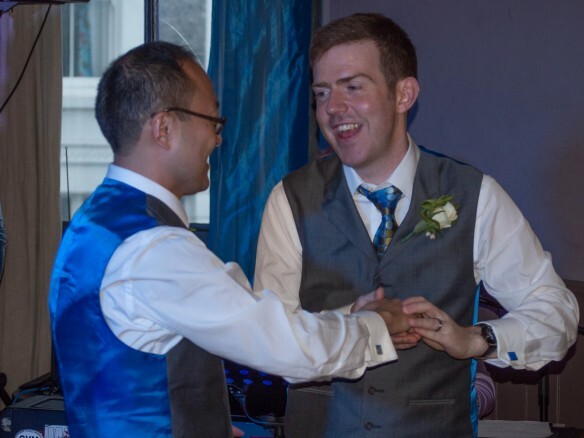 Chris wore lovely matching blue cufflinks made from…recycled LEGO blocks mounted on a silver plated base that were a birthday from me from earlier in the year. My cufflinks were a square cloisonne patterned with different shades of blue and pink.